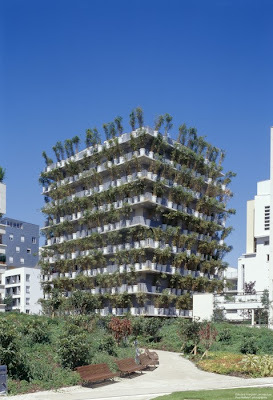 It looks like a huge display of potted plants - 'Tower Flower' a 10-storey building by architect Edouard Francois, can also be called the 'Bamboo Building' for reasons that are immediately obvious. When viewed from certain angles, the exterior disappears behind these bamboos. 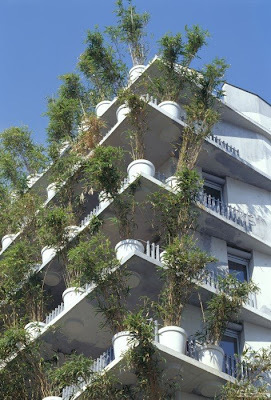 Tall bamboos arise from rows of 1.2-metre-high white flowerpots (400 in all) that line the narrow balcony ledges of the building. 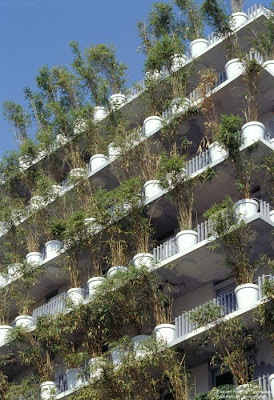 The concrete containers that houses the bamboos are actually oversized flower pots, which are firmly embedded in the narrow cantilevered balconies to prevent being dislodged by any reason, an important precaution as the pots adorn the full height of the tower. 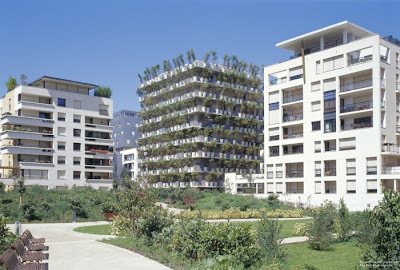 The flowerpots are kept in optimal; and an automated system of tubes incorporated into the metal balustrade is used to supply water and fertilizers. 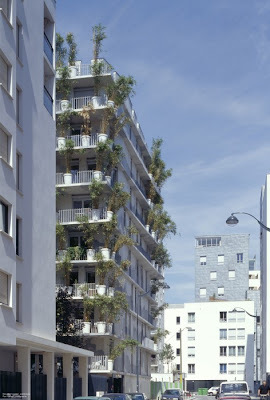 The greenery functions as a heat and light diffusing screen, apart from making an interesting statement. Interesting And Creative Business Cards.